The festival is almost over, but the place looks like it could stay like this forever. Peace, unity, respect and solidarity - all those are the values of the festival and the people here. Rototom is a place where people from all over the world come to celebrate the reggae music and prove that we all can live as one! Reggae University prepared some special seminars for the last day and if you are interested in caring for your body and cherishing it with healthy food, you are invited to attend a seminar entitled 'Food as Medicine - Rastafari Ital diet and holistic approach' that will be hosted by Ras Ibi. Later that day the RU will have a special guest Max Romeo, who will have a speech about his incredible career. Right before the stages open there will be one more meeting at Reggae University named The Big Ship Family Affair featuring Dr. Dennis Howard, Freddie McGregor, Chino McGregor and Stephen Di Genius. The last day the stage will be opened by Max Romeo, a Jamaican roots reggae artist that is most famous for his album War Inna Babylon that features one of his most popular songs 'I Chase the Devil'. Following will be Yannis Ouda backed by Artikal Crew and then Freddie McGregor ft. Chino, Stephen Di Genious & Big Ship Band. The one saved for the last is the one Rototom audience haven't seen since year 2011. An Ivorian reggae singer, known for his conscious music, Tiken Jah Fakoly. The one whose music speaks about the many injustices done to the people of his country and his continent. Tiken Jah Fakoly speaks for the oppressed people and even though many people don't understand his lyrics, the songs he sings are always backed up by the crowd. 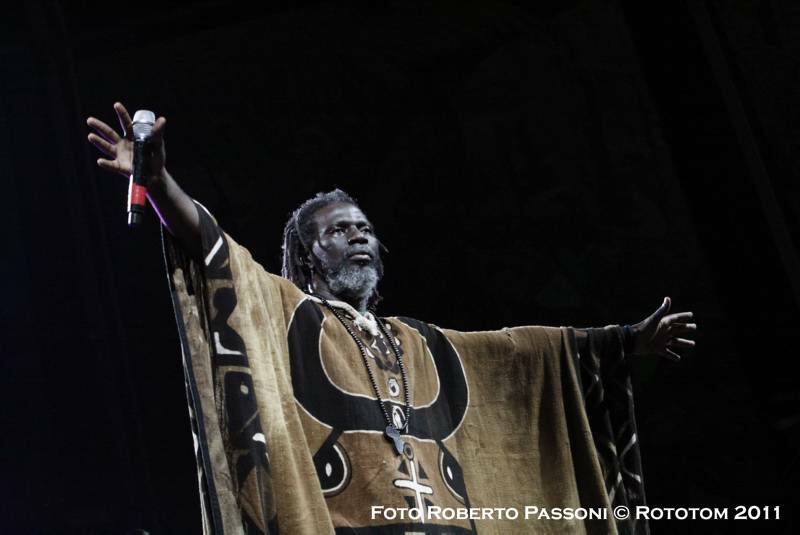 His energy is amazing and we are sure the last concert of this year's edition of Rototom Sunsplash will be something magical.